When I started snapping pictures of random language mistakes, I didn’t have the intention of making a series of blog posts about it; but it seems that I seem to stumble upon language fails wherever I go! It’s such a bummer to see that companies and established businesses don’t go the extra mile when it comes to proofreading their written material. The case in this blog post is that of restaurant menus. I know, I know. It’s not new to see menus containing endless mistakes, but I do believe that those menus could actually make or break the restaurant. I’m not being dramatic; it’s just that I find it so irritating to walk into a good restaurant to be surprised by its awfully written menu. After all, it does pay off to pay a little more attention and to hire a professional proofreader to make sure the menu is flawless before it’s printed. I didn’t know paper had flavors! 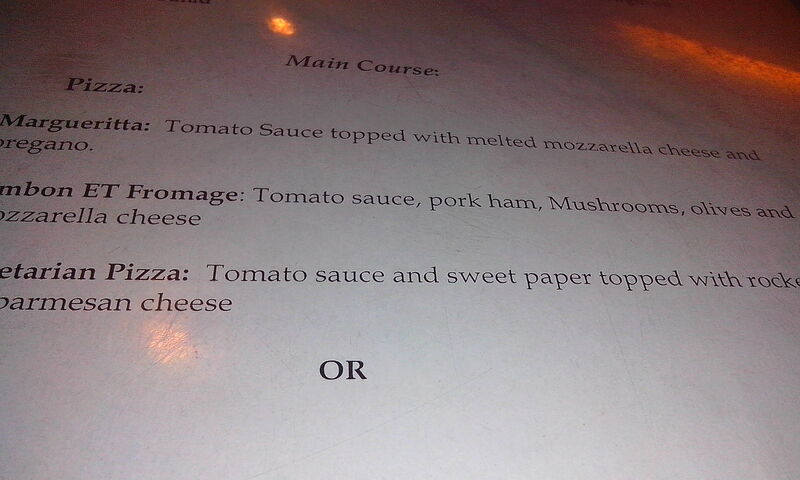 Not to forget the pizza Margueritta (sic) and the Mushrooms with a capital M in the middle of the sentence! I do believe this was an honest mistake, given that Fajita is actually spelled “Fahita”. But really, why not double check? 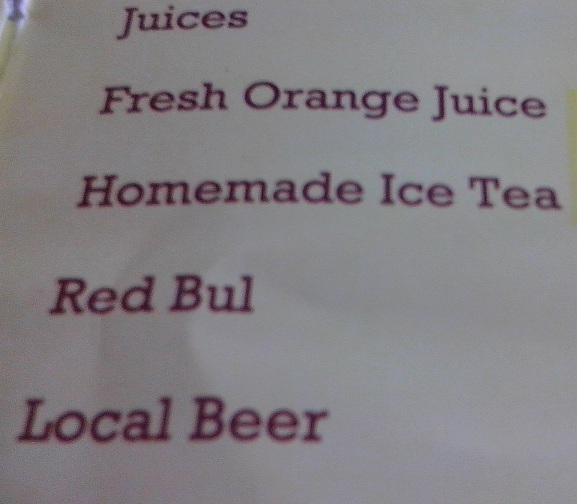 This is the first picture out of the rest to come from a single menu which has one sentence at the top of each section. The idea is rather cheesy because of the “its” instead of “It’s” at the beginning of the sentence. Besides, Why use four exclamation marks? What’s the point? Yes, you guessed it. It’s the pizza section, and the mistake here is actually the omission of the article “a” from the expression “in a relationship”. Not to mention the many exclamation marks again. I am not exactly keen on using slang here. “Going to” would have seemed a lot more posh! Plus, those exclamation marks are really getting on my nerves! English rule #1: “I” is ALWAYS in capital. Now that is just an epic fail! How can you get a worldwide known brand’s name spelled wrong? 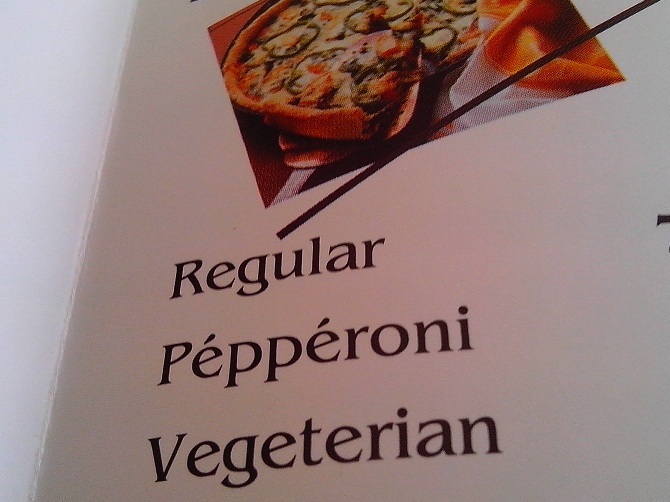 The Italian word “pepperoni” does not need the French “accent aigu” (acute accent) on the “e”. But that does not even compare to the other (huge) mistake: the word “vegetarian” is derived from”vegetable”, hence being spelled with an “a” after the “t”, and not an “e”(“Vegeterian” is wrong, obviously). 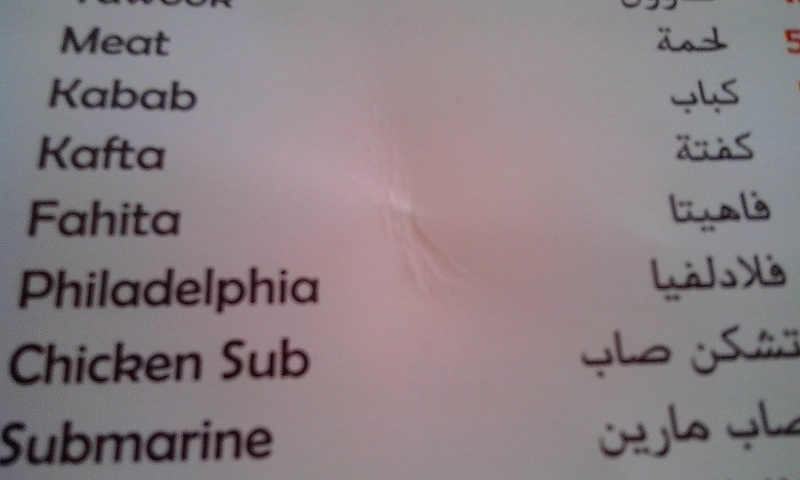 What do you think of language mistakes in restaurant menus? Do they affect the way you look at the restaurant, or even what you actually order? Please share your opinion with us! back to mine. Please blast me an email if interested. Thank you!